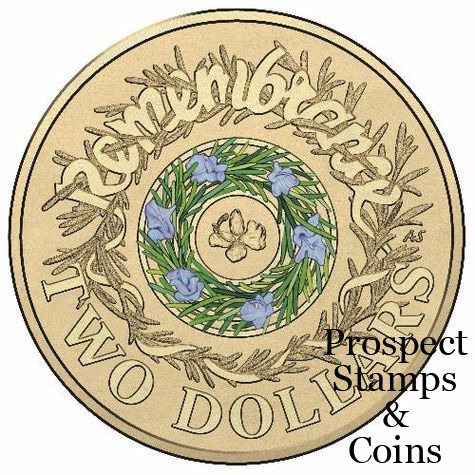 The distinctive pointed leaves and purple flowers of the herb rosemary make a moving and evocative design on this collectible version of the 2017 Remembrance Day coin that has been released into circulation. This coin will strike a chord with history buffs, military enthusiasts and the families of those who have served. These are circulated finished coins, that have been rolled at the mint and not into circulation. This version of the coin will be a must-have for collectors and military history enthusiasts alike.